There will be a lot of foot shuffling and blank stares when real estate professionals are asked about the impact of last night’s proposed tax cut plans from the House and the Senate. I’ve always found the topic of taxes as interesting as watching paint dry. But this time it’s a little more important. You see, housing doesn’t defy gravity. the House plan would boost growth by 0.4 percent and 0.9 percent in its first 10 years. But it might not improve growth at all in the subsequent 10 years. There are many issues in play in this rush to ram this bill through both houses such as the mortgage interest rate deductions, state and local tax deductions (SALT) and gutting affordable housing funding which I won’t go into here – but my larger concern is the high cost of nominal GDP growth (that won’t drive salaries higher, which is the real issue for housing. Lackluster growth at significant expense will probably keep mortgage rates low which will then keep credit conditions tight. This also could set us up for another housing crisis as regulators loosen the oversight on mortgage lending to goose mortgage volume higher. There is plenty of that type of behavior occurring right now behind the scenes. Remember that banking regulators are dependent on income from large banks, much like credit rating agencies are dependent on Wall Street and appraisers were dependant on mortgage brokers during the housing bubble. Conflicts of interest become critical problems over time. Completely redrawing tax rules isn’t always a good thing – it creates many unforeseen problems. 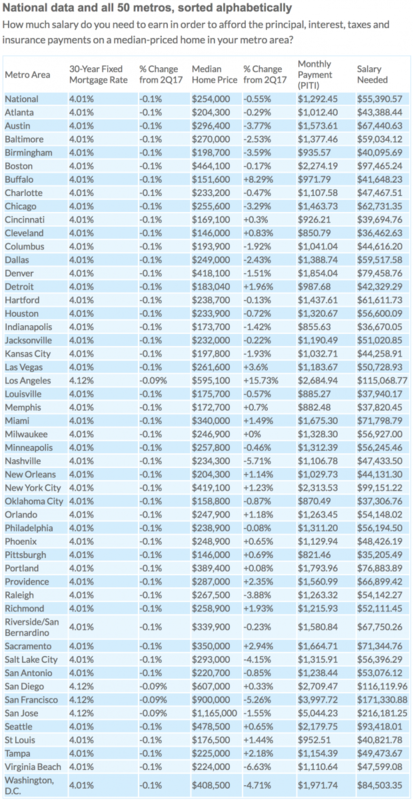 HSH Associates published a widely referenced study looking at the median home price of the 50 largest U.S. cities to determine what your salary would have to be to qualify. 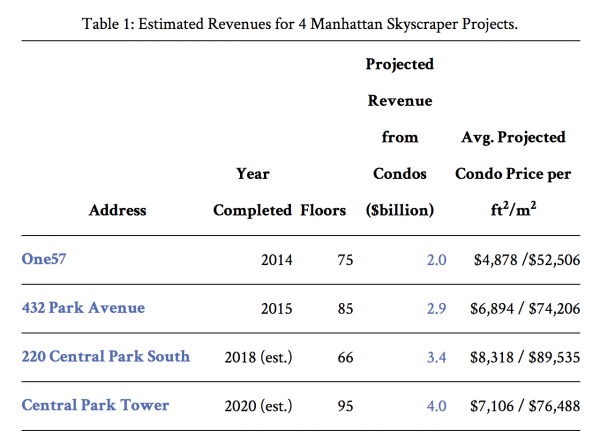 New York City is about $100,000 but Manhattan’s median sales price was $1,170,000 in Q3-10217. This was similar to San Jose’s $1,165,000 median sales price that required a salary of $216,181.25. 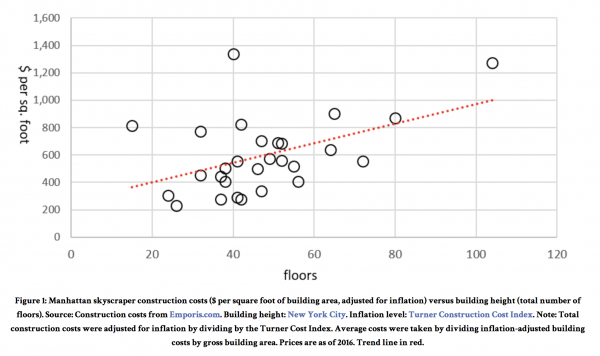 Jason Barr, a Professor at Rutgers University, Newark in the Department of Economics, calls them “Superslims.” His blog, “Building the Skyline” has a 2 part post the economics of building them. Dottie Herman and Elizabeth Stribling are friends of mine and have been strong leaders within the real estate brokerage industry. I have had the pleasure of knowing them for much of my career. Elizabeth Stribling is being honored by REBNY for a lifetime of leadership. Dottie Herman provided the vision to develop the largest firm on Long Island and then with her partner Howard Lorber, built the fourth largest brokerage in the U.S. 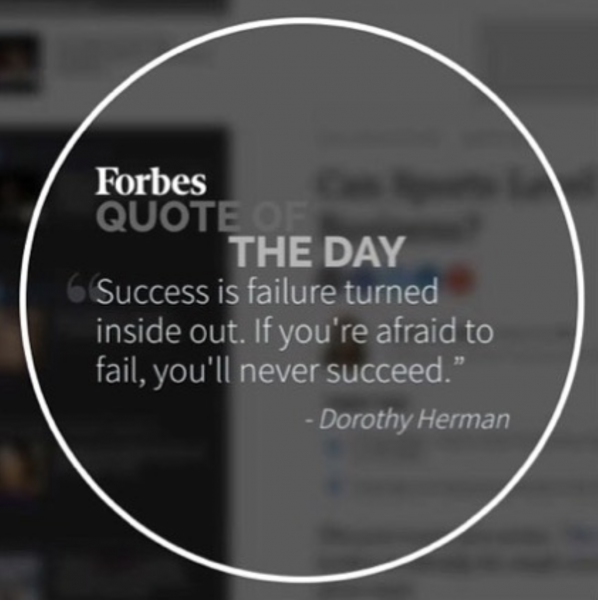 Saw this quote by her on Forbes.com. 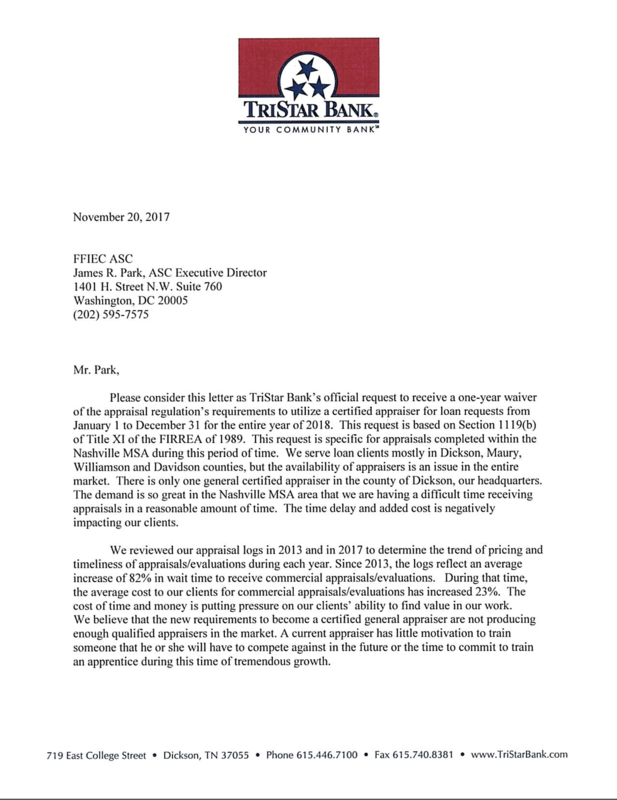 TriStar Bank is the test case for the appraisal waiver concept. Read the letter to Jim Park at ASC. By the way, this is made possible by the U.S. taxpayer backstop to banks proven by bailouts during the financial crisis a decade ago. Moral hazard, baby. I’ll translate the TriStar letter for you. 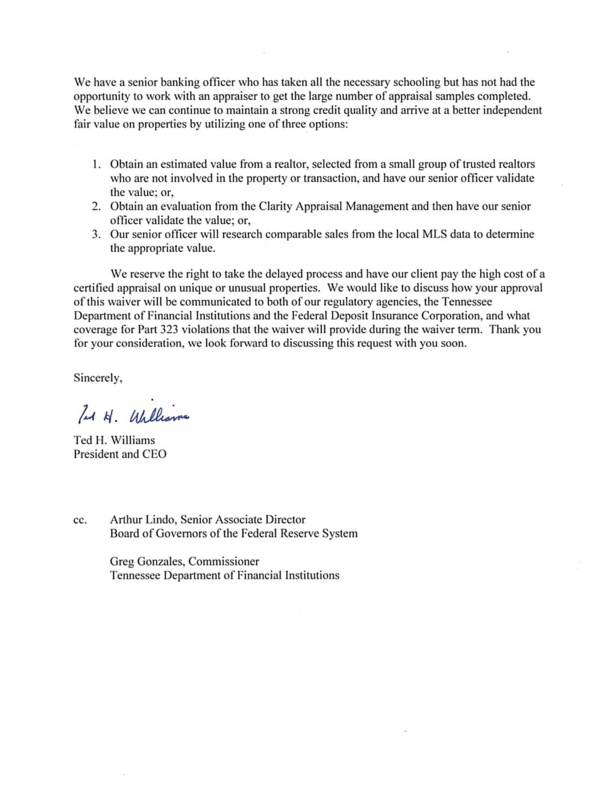 Because we have no concerns about the risk to U.S. taxpayer and feel there is no incentive for due diligence in lending, it is much more beneficial to our bottom line in a booming real estate market like Nashville – prices are rising at an alarmingly fast rate – that we don’t worry about the value of the collateral. We’ll let the U.S. taxpayer worry about that. And just because real estate prices there are exploding, it’s not fair that appraisers can charge more for their services when market forces dictate it – but we have no problem when their fees collapse when the market isn’t booming. We don’t think it is fair for appraisers to participate in our economic system and provide a valuation benchmark so lenders can make an informed lending decision, because, hey, we want our customers to be happy. We think it is better for people with conflicting interests, like one of our senior officers to search the MLS because even though his compensation is dependent on bank performance, we feel it is ok. And a realtor, who is in the business of helping buyers and sellers and who may do work for us if there is a foreclosure, can give us the value even though most court systems won’t allow them to opine of value in place of an appraiser. And we also like the idea of an AMC doing an evaluation for $20 in 24 hours because, other than it not being a credible valuation, it’s cheap and super fast. Remember, it’s not about understanding the value of the collateral, it’s about setting reasonable expectations based on nothing but our gut. We have some thoughts on eliminating our underwriting department because it is so unnecessary but I don’t want to confuse the reason for the letter. We don’t need to get a value from a neutral market expert because everyone knows its all about making our customers happy. Those are our truths. What could go wrong? Is it not like we didn’t learn our lessons from the financial crisis. Here’s the actual letter. It’s mind-boggling. There is a hearing in Tennessee that is making the rounds. I’ll share more thoughts on that video next week. Here’s a 2012 blog post I wrote from the archives – it still holds up. The result has been the crushing of appraisal quality because trained, experienced professionals are opting out of this madness because time = money. Cut the fees 50% and then waste another 30% of an appraiser’s time with this meaningless activity and you don’t end up with a more reliable valuation opinion. Voice of Appraisal E182 Do we have an “Appraisalgate” Scandal?!?! This is a fun listen. Phil and Kevin welcome Ron Stickelman to the show. Are AMC’s keeping appraiser trainees from inspecting properties? Are they hiding something from the big banks?!? The 100% Appraiser Movement has tapped into the collective energy of independent appraisers nationwide, demonstrating that our industry voice remains strong and our concern for our peers is even stronger. Appraisers Mark Skapinetz of the 100% Real Estate Appraisers Facebook Group, Lori Noble of the West Virginia Council of Appraiser Professionals, Phil Crawford of the Voice of Appraisal Podcast and I got together to ask our colleagues for help. And appraisers responded immediately!!!! There’s a lot more to it than that – Lori Noble tells the story. When the collective efforts of a larger pool of professionals come together to uplift the moral of others, the results are significant and powerful. We’ve seen the graciousness of appraisers throughout the year with more involvement on the front lines of the business than ever before and state and national collaboration. One stands out that showed the gift the 100% Appraiser movement brings to the market. A series of text messages between appraisers who’ve experienced a natural disaster and a common goal to help any appraisers damaged by incumbering tropical storms Harvey and Irma get ahead of their recovery. The 100% Appraisers Hurricane Relief Fund was created in a matter of minutes; there was no red tape or big to do, just a voluntary act of honest service and kindness that we knew was needed. We didn’t know how many or who would experience loss and damages from the storms but knew there would be someone. The responsiveness of appraisers was astounding. To see appraiser’s leverage their nationwide social media network in a united effort. Through thoughtful sharing, the crowdfunding campaign gained enough awareness to raise $12,000 over only a few short weeks. Appraisers were ahead of the curve and showed how small contributions from a large pool brought the fund raiser to a meaningful level. Meanwhile, appraiser networks coordinated and used social media to get the word out so appraisers knew funds were available for any who experienced loss from the storms. Fortunately, it seemed appraisers skirted big damage until a very sincere email from an appraiser in Houston Texas was received. “One never knows when one may be on the receiving end of compassion.” That’s how Zolee Thomas, an appraiser transplant to Houston who relocated from New Orleans after Katrina described it in our conversations. “Life can turn upside down in the blink of an eye.” Zolee’s home is not located in a flood zone yet she was seriously flooded during the storms. When I asked how she found out about the 100% Appraiser’s Hurricane Relief Fund, she explained through one of the industry related newsletter subscriptions she receives. Ultimately, the power of social media brought the right people together at the right time. Zolee sent a great progress report and thank you to all appraisers who donated to the fund. During this season of expressing gratitude, I recognize each contributor of the 100% Appraisers Hurricane Relief Fund. Your generous rebuild donation was used to build walls (of love and not division though)!! Not only was your donation put to good use, it was received right at the time I needed it most. It invigorates me as I realize the good in this world does outweigh the bad. Thanks, is really not enough in this case. But from the bottom of my heart I’m appreciative….see Attached. Since the catastrophic event and after rigorous outreach, we are happy to report our colleagues were mostly spared from serious damages from Harvey and Irma. We’re very lucky in that respect considering the amount of devastation that occurred. That said, with holidays here and funds remaining, a poll was taken to a predominant representation of relief fund contributors and a unanimous vote to transfer remaining contributions to the Voice of Appraisal Cancer Relief Fund was made. There was no debate to transfer the remaining funds to Appraisers fighting the good fight as soon as possible. This is where the magic is; appraisers engaging in strength in numbers that make a difference when it’s needed most. There’s no doubt, the little things add up and one never knows when they might be on the receiving end of this graciousness. 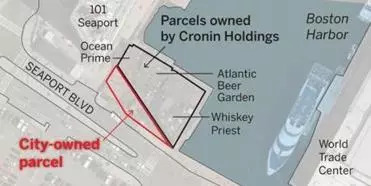 If you need something rock solid in your life (particularly on Friday afternoons) and someone forwarded this to you, or you think you already subscribed, sign up here for these weekly Housing Notes. And be sure to share with a friend or colleague if you enjoy them. They’ll paint new lines, you’ll discover gravity and I’ll buy a sidewalk.